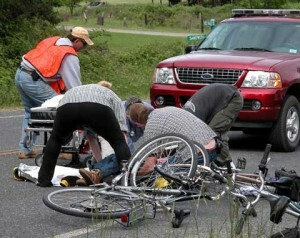 Orlando Bicycle Accident Attorney | David R. Heil P.A. There are many bicyclists on the southern east coast due to the very comfortable climate and the cultural and environmental atmosphere. However, central Florida areas in and around Orlando like West Orange Trail, Kissimmee, Winter Park, Altamonte Springs and downtown Orlando are not always places where motor vehicles and bicycle riders share the road “in peace” and this leads to bicycle accidents more often than it should. Most bicycle accidents are caused by motorists that simply do not see the bicyclists when they are in intersections or in the traffic lane. If you are struck while riding a bike, chances are that you will sustain severe injuries and need to have medical attention. In the event that you are injured and go to the hospital, be sure to have documentation produced for you that will provide as support for a Personal Injury Attorney in Orlando. Always cooperate with law enforcement officials if they request a statement at the scene or hospital and obtain a copy of any police reports. This will assist your lawyer in pursuing payment of your medical expenses and other damages.